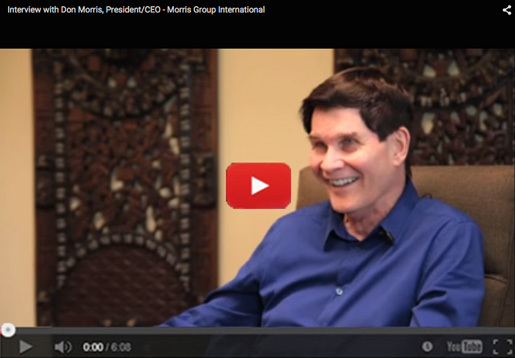 Morris Group International® includes 25 divisions and partnerships. From stainless steel toilets, to engineered plumbing and drainage products, to vacuum plumbing systems, our products come out of our many facilities in North America ready to meet the needs of any construction or building project. Because we research, design and manufacture our own products, customers have the benefit of going to one supplier to get the job done with choices that meet ADA requirements, environmental concerns, and the highest standards for safety and design. Today with over 75 patents and several major product lines that include thousands of products, Morris Group International operates with over 1,600 employees and over 2 million square feet of office, warehouse and manufacturing space worldwide. "What sets us apart from competitors is our engineering and spirit. We have a 'can-do' spirit. If you ask us to do something, we will do it or figure out how to do it. That's the part our customers like, that's the part we like."